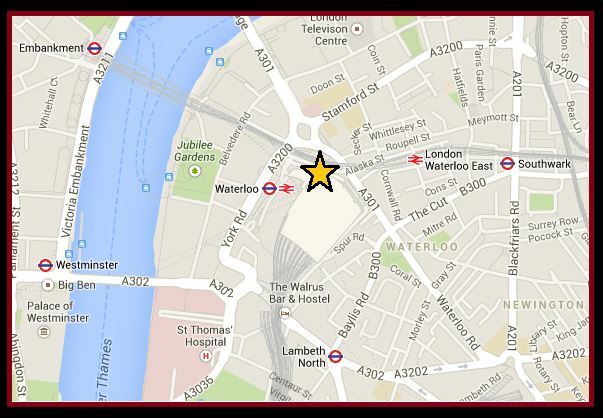 Waterloo Victory Arch, Cab Road (map: Google). As we’ve seen in earlier installments,Waterloo station developed in an extremely haphazard manner throughout the Victorian period. 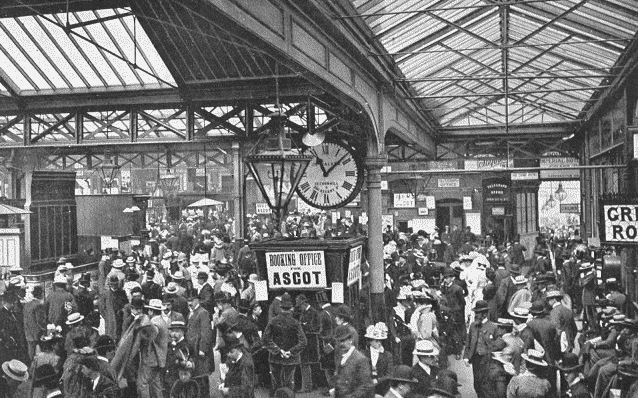 Waterloo station during the Victorian era. 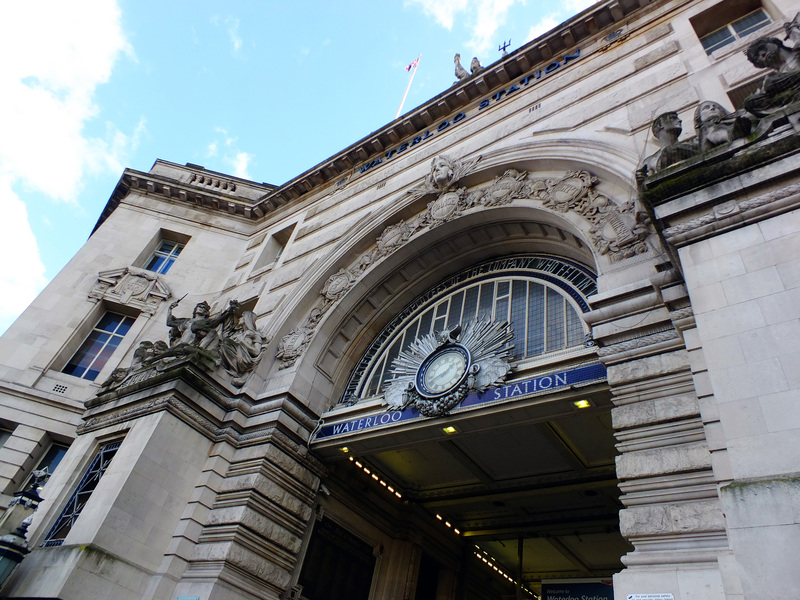 Realising that their ultimate dream of establishing a grand terminal within the heart of the City was off the cards, the board of the London and South Western Railway decided to completely redesign Waterloo and forge it into a station fit for purpose. Work on the rebuild began in the late 1890s but progress was slow… with one of the main obstacles being the outbreak of hostilities in 1914. During the Great War, 585 employees of the London and South Western Railway were killed whilst fighting for their country. 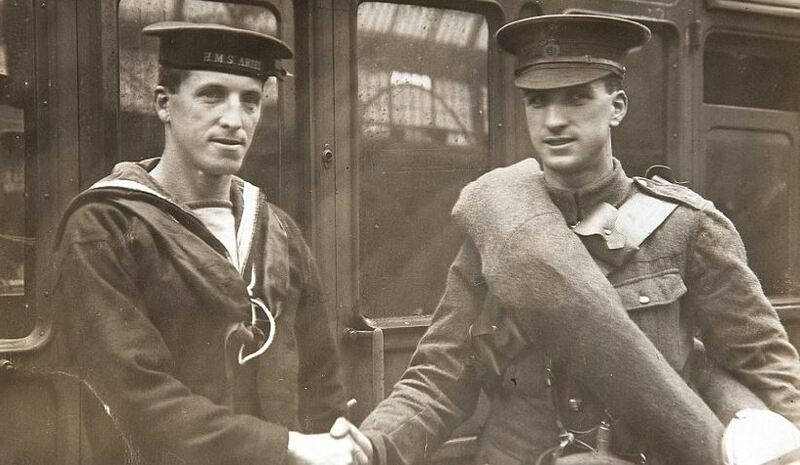 Brothers in Arms… two siblings who served in the Great War; one in the Navy, the other in the Army bid farewell at Waterloo station. In recognition of this appalling loss, the company decided to incorporate a bold war memorial- a ‘Victory Arch’- into the new station’s entrance in honour of their fallen workers. The new station- the Waterloo familiar with today’s commuters- was finally completed in March 1922. King George V was due to conduct the opening ceremony but was forced to bow out due to illness, so Queen Mary stepped in to do the honours. A number of decorated veterans from the Great War were also in attendance for the grand event… please click below to view footage of the station’s opening. 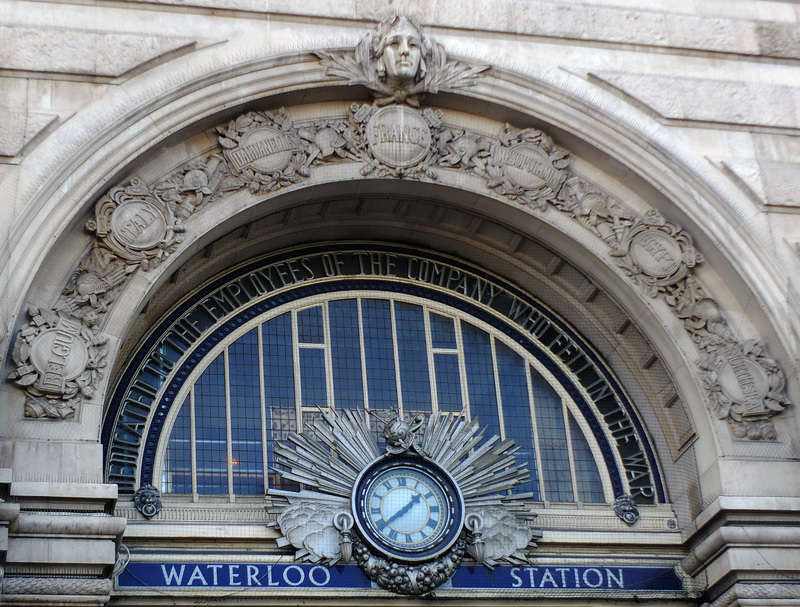 Although millions of passengers sweep beneath Waterloo’s Victory Arch every year, very little is known about its creator, other than that he is believed to have been a Mr Charles Edward Whiffen, a Cheltenham-born sculptor who lived and died at Altenburg Gardens, Clapham. When he died in 1929, Charles Whiffen had just £662 and 15 shillings to his name. 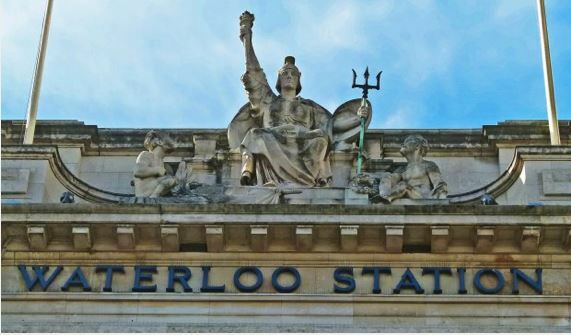 Waterloo’s Victory Arch is dominated by a sculpture of Britannia bearing the torch of liberty. 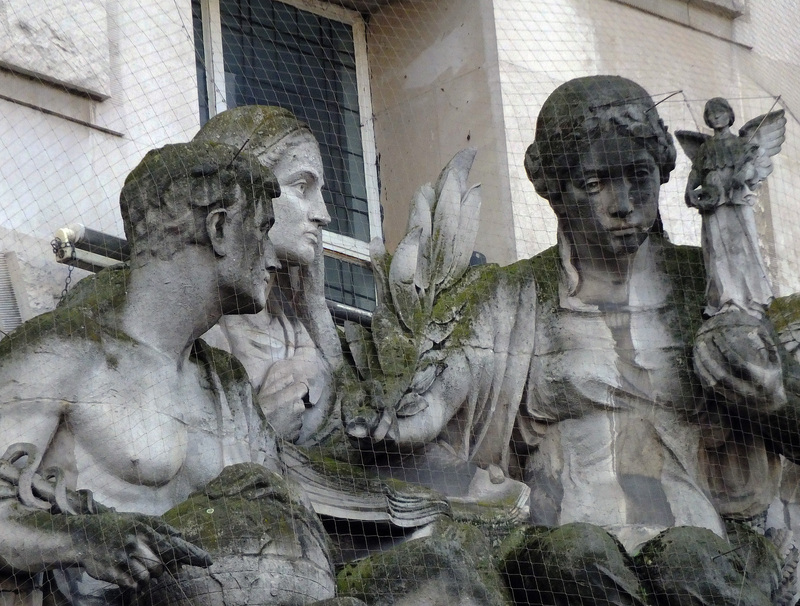 Britannia, high over Waterloo’s main entrance. Below Britannia, the names of the Great War’s major theatres are listed in a carved arc: Belgium, Italy, Dardanelles, France, Mesopotamia, Egypt and the North Sea. Either side of the arc stand two further sculptures. 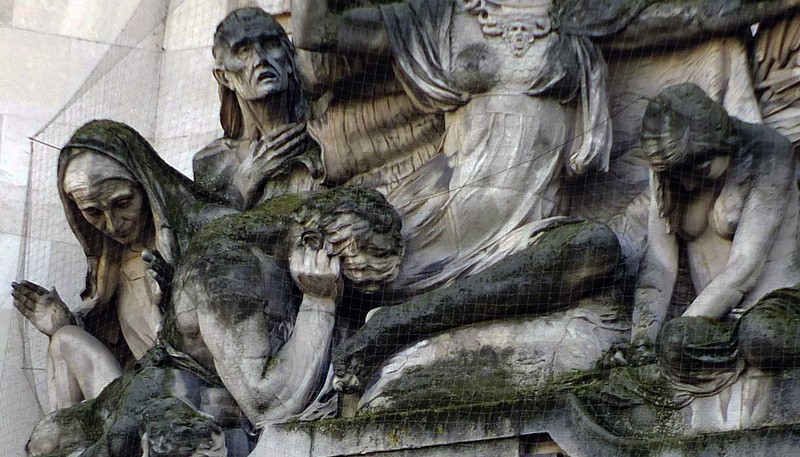 Figures on the left and right representing 1914 and 1918. 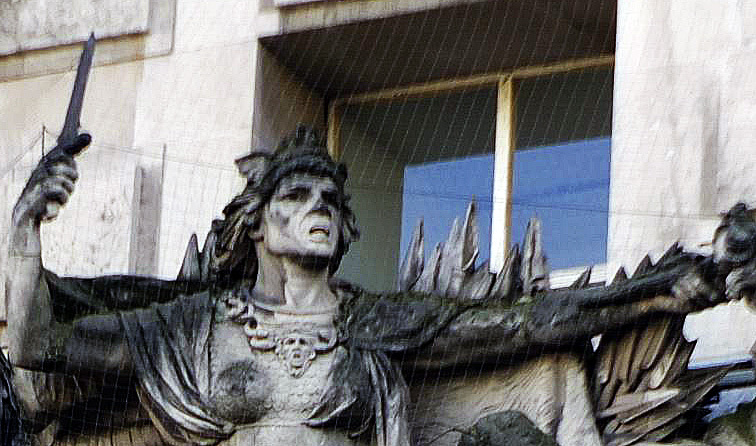 On the left, representing the outbreak of war in 1914, squats Bellona; the ancient Roman goddess of war. This suitably demonic figure holds court amongst a terrified entourage. On the opposite side of the arch, representing peace and the 1918 armistice, sits Athena; the goddess of courage and wisdom. Athena, who is accompanied by a far more relaxed group than the unfortunate bunch cowering around Bellona, is depidted clutching two objects; a palm of peace and a miniature figure of Nike; the winged goddess of victory. Athena representing peace in 1918. Solemn plaques, bearing the names of the many LSWR railwaymen lost in the conflict line the interior of the arch. 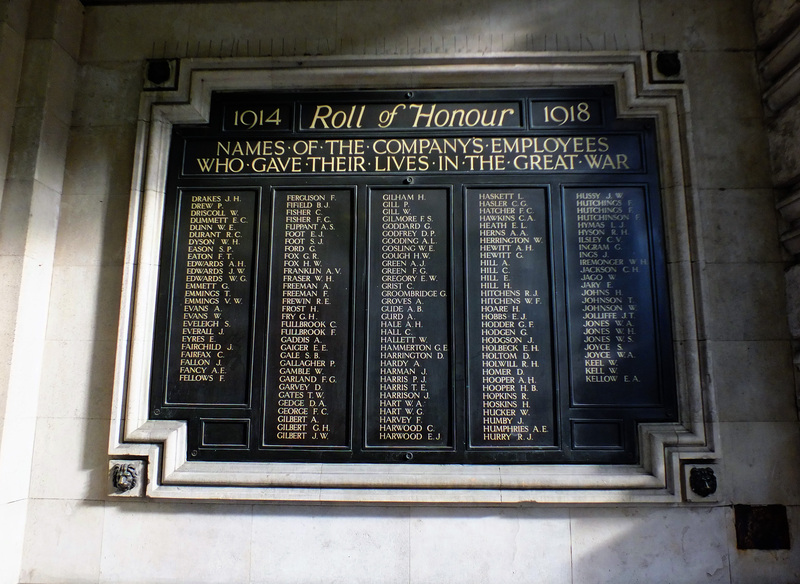 One of a number of plaques inside Waterloo’s main entrance listing the many men of the London and South Western Railway who died serving their country. If you are a regular user of Waterloo, please spare a thought for these long lost names… and remember that missing your train by a few minutes is nothing in comparison to the hellish conditions in which these young men met their awful fate. 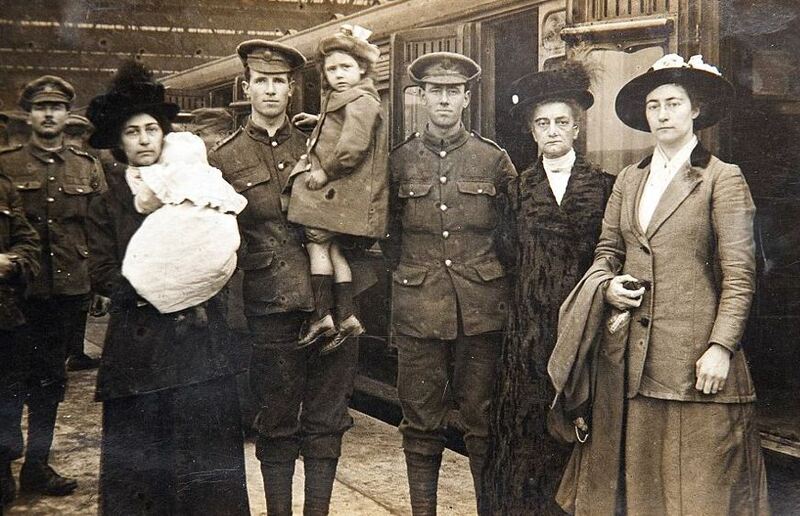 Troops say goodbye to their families at Waterloo Station before heading for battle (image: Christian Broom). We tend to losed perspective when we sse things as not going our way. It’s good to be reminded from time to time just how lucky we really are. Excellent post as always. Couldn’t agree more, Anwen. Thanks for the kind comment. The number of times I have been under that arch, and I never knew what it was for. I shall walk with more respect, next time. I’d noticed the plaque before, but never realised the arch itself was a memorial. Nice blog! Seeking picture of the memorial on the steps of Waterloo station…in particular ..William Lambden and any details of him.